National Learn to Row Day at the Haverstraw Ferry Landing at Dr. Girling Drive, Haverstraw, NY. 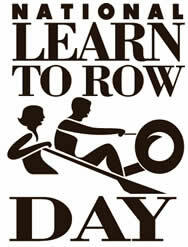 Each year, the North Rockland Rowing Club hosts Learn to Row Day to expose more New Yorkers and Rocklanders to the sport of rowing or crew. Refine your technique on a rowing machine and/or get in a boat to learn the basics. The Club will take you out on the Hudson River to experience rowing firsthand! Don’t worry, they take numerous safety precautions when introducing beginners to the sport. This is a great event for families and children, as well as adults that are looking for new ways to stay fit. Had a great time at Learn to Row Day yesterday! I did it! I learned to row. And I got to see Haverstraw from the water for the first time. It was amazing! Yes, I had a great time as well! This event is a gem – I love attending each year. Hats off to the club for hosting this each year; it seems like a lot of work! I’m glad you all had a good time! Come back next year, or perhaps, join the club! Our organization North Rockland Rowing Club believes it is essential to bring rowing to Haverstraw & to Rockland County. We are all volunteers, we are passionate about this sport!